Ty Tashiro knows awkward. As he charmingly admits in his second book, Awkward: The Science of Why We’re Socially Awkward and Why That’s Awesome, he was no stranger to deviating from the norm. But he soon realized that the same characteristics that make awkward people stick out like a sore thumb also make them stand out in the most amazing ways. Ty’s awkward ways earned him a Ph.D. in Psychology from the University of Minnesota, and then he became an award-winning professor at the University of Maryland and University of Colorado. Ty is also passionate about science communication, eager to tell the world about fascinating new work in psychology. His first book was The Science of Happily Ever After, which is a scientific guide to finding everlasting love. His work has been featured in the New York Times, the Washington Post, Time.com, TheAtlantic.com, and on NPR and Sirius XM Stars radio. Ty kindly agreed to answer a few of our questions about his latest research into awkwardness and why he decided to write popular science. Sullivan: In your book, you comically describe several instances where you yourself have felt awkward. Tell us more about the ways that awkward can be awesome. Tashiro: I think a sense of levity with one’s awkwardness is helpful for everyone because who hasn’t had a blush-worthy awkward moment that turned into a great story? There’s nothing wrong with being awkward, but it’s helpful for awkward people to understand their unique attributes that can be leveraged to accomplish extraordinary outcomes. I like to explain what social scientists have discovered about social awkwardness with a spotlight analogy. Imagine that you see life unfold on a stage and that stage is broadly illuminated. You could easily shift your attention as people enter or exit the stage, watch the key interactions at center stage, and pick up on the context around center stage. That’s how most people see the social world. Awkward people see their stage spotlighted and their sharply focused beam of attention tends to fall a little left of center stage. So, they’re more likely to miss some of the key social information at center stage, but whatever falls under their spotlighted attention is seen with great focus and potentially a brilliant clarity. This spotlighted perspective manifests in behaviors such as intense focus, persistence, and even an unusual level of enthusiasm for the things they love. There are interesting behavioral genetic and developmental psychology studies that show a moderate, but robust association between social awkwardness and striking talent, which is a way to describe people who show exceptional ability or achievement in a specific area. Although some of this correlation is accounted for by I.Q., the stronger mediator is their obsessive drive to learn everything they can and master their area of interest. Sullivan: This certainly doesn’t apply to all scientists, but I know many who would describe themselves as socially awkward. Do you have a sense as to why scientists might be disproportionately awkward? Tashiro: Simon Baron-Cohen and his colleagues have been at the forefront of understanding people with social skill deficits, communication difficulties, and the kind of obsessive interest that characterize socially awkward people. In a series of studies, they compared the degree of awkward characteristics among Oxford students majoring in the humanities, sciences, computer science, and a group of high school students involved with their school’s math competitions. What they found was that compared to humanities majors, those students majoring in sciences, computer science, and the matheletes reported significantly more awkward characteristics. Follow-up studies suggest that people with awkward characteristics tend to think in a more systematic or methodical manner, which is a style of problem-solving that is well-suited to fields like science, computers, or math that employ things like the scientific method or orders of operation. Awkward people love to take things apart, intensively study how the pieces function, then put those pieces together in a way that makes more sense. In this way, the awkward mind can be advantageous for someone who is passionate about describing, organizing, and predicting phenomena. 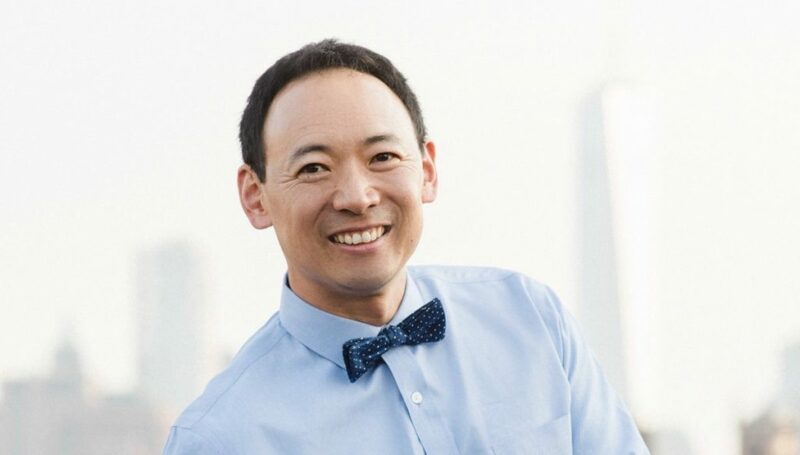 Ty Tashiro’s second book, Awkward: The Science of Why We’re Socially Awkward and Why That’s Awesome, examines what it means to be awkward and how those traits also often lead to success. Sullivan: Being socially awkward might hinder one’s ability to communicate research effectively. Do you have any advice for people who fall into that category? Tashiro: The risk for any awkward person is to fall too far down the rabbit hole. Researchers are rewarded for being meticulous about details, learning how to effectively use the specific terminology in their subfield, and being hyper-aware of methodological nuances. None of these qualities should be compromised because they are necessary for great science, but it’s also easy to see how the best of us could get so deep into their field of research that they forget what the non-specialist wants to know or needs to know. Part of the problem is that a great lab usually means that the Principal Investigator manages an army of graduate students, post-docs, and undergraduate research assistants. With the time pressures and publication pressures, the P.I. gets data or results, but begins to lose an opportunity to be hands on. I remember hearing a story in graduate school about Harry Harlow, who is famous for his early primate studies that showed infant primates preferred a cloth surrogate mother that provided tactile comfort to a surrogate mother that provided food. My professor was an emeritus faculty at Minnesota who told us that the spark for Harlow’s idea occurred while he was cleaning the cages of the primates, a task usually reserved for research assistants. Harlow noticed that the primates resisted when he tried to remove the towels from the bottom of their cages. Harlow’s willingness to immerse himself with his subjects allowed him to see a pragmatic, but revolutionary insight. Sullivan: What motivated you to write about science for a broader audience? These students wanted to know how evolutionary research applied to their mate preferences on Friday night or how they could apply social psychology studies of persuasion to help a friend out of an unhealthy relationship. My answers were not always satisfactory, so maybe out of stubbornness I decided to tackle the problem of translating great social science into practical advice. While we usually think of translational research as the gap between basic and applied science, my translational task has generally been to bridge the gap between applied research and the general public. Sullivan: What tips can you give aspiring science communicators? Tashiro: I’ll start with the bad news, then give you the good news. As I began investigating how to write in a compelling manner for broad audiences, I realized that the cornerstones of great storytelling are rich scenes, complex characters, and brisk plot. Then, I realized that science writing for journals has no scene, character, or plot. Some people might protest that the materials, subjects, and procedures count, but that’s a stretch. I should be clear that I don’t think science writers should change how they write for journals or their colleagues. There’s a precision and factual nature to good science writing that is valuable and necessary, but it’s a style that does not appeal to broad audiences. So, the starting point for aspiring science communicators is to think about how to infuse scene, character, and plot into the scientific narrative. My strategy has been to open every chapter with a story that is humorous or mysterious and this story sets up a research problem. In AWKWARD, I set up the descriptive statistics chapter with a middle school mishap involving awkward all-star wrestling re-enactments that ended with me concussed. I set up the social neuroscience chapter with a story about my first middle school slow dance that left readers wondering whether the boy should kiss the girl. Both stories are absurd, mildly embarrassing for me, but they allow me to get readers invested in a character who needs to solve a conundrum. The middle parts of my chapters give readers research findings that help them piece together clues about why I ended up concussed or whether I should go in for the kiss. I end each chapter by giving the reader the outcome from the opening story, which allows me to summarize the data through the lens of a character trying to take appropriate action on a scene. For researchers in physics, biology, or other fields that do not always involve human subjects, you sometimes end up anthropomorphizing molecules or species, but this can provide a wonderful opportunity for fanciful, unexpected storylines. As science comes under siege these days, it’s more important than ever for the science community to cooperate and find a way to captivate the broader public with science and to share the wonderful discoveries you’ve observed under your brilliant spotlight.